Total Chaos Fabrication Inc. has been in the off-road world for over 25 years. In a few days will take part in the longest and toughest off-road American race: the Vegas to Reno. As was the case of last year for The Mint 400, we will be there to closely follow this fantastic team. For over 25 years, Total Chaos Fabrication Inc. is affiliated in the sport of off road. From journey with friends to competitions, theirs is a real lifestyle. 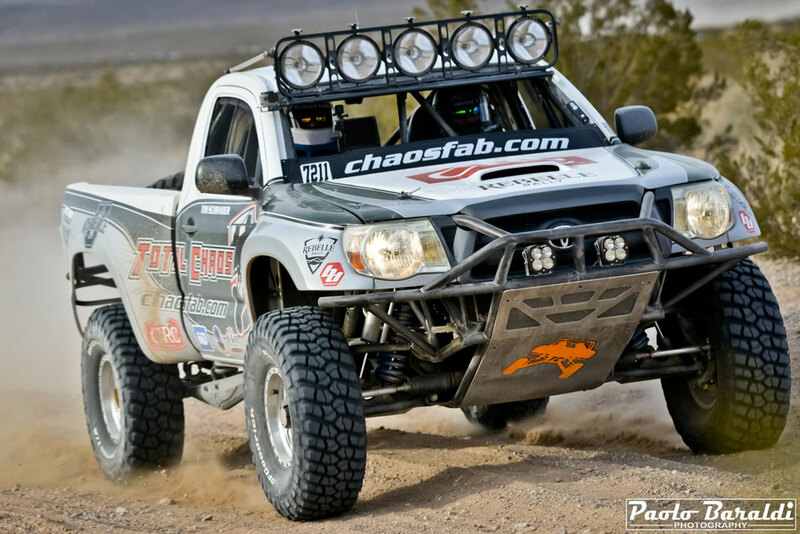 Based in Corona (CA), in the American West Coast, Total Chaos is specializes in construction of suspension systems and accessories for the Toyota off-road models. The high technological level reached in these years has made them as world leaders in this sector. The co-owner Nicole Pitell-Vaughan is a true offroad and outdoor life enthusiast. She loves the world of competitions and she believes are the perfect test for TC products. 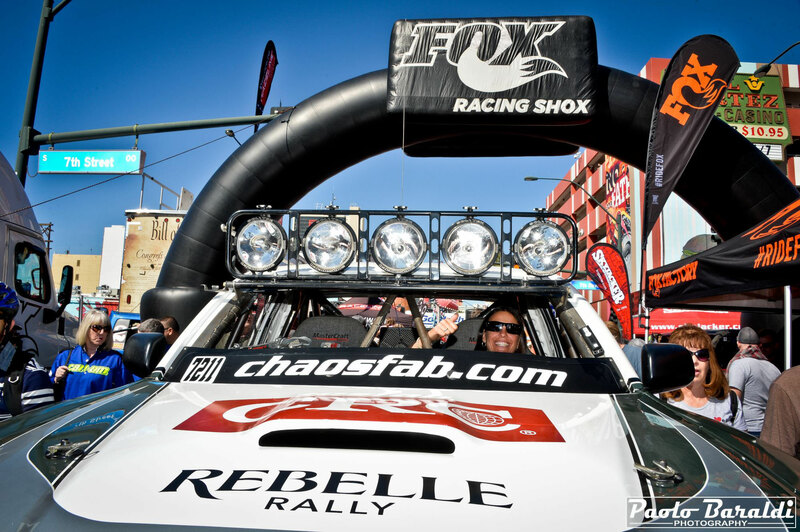 In 2016 she brought her Toyota Tacoma to the podium at the famous Moroccan rally Aicha de Gazelles, last year she raced at The Mint 400 and in the Vegas to Reno. 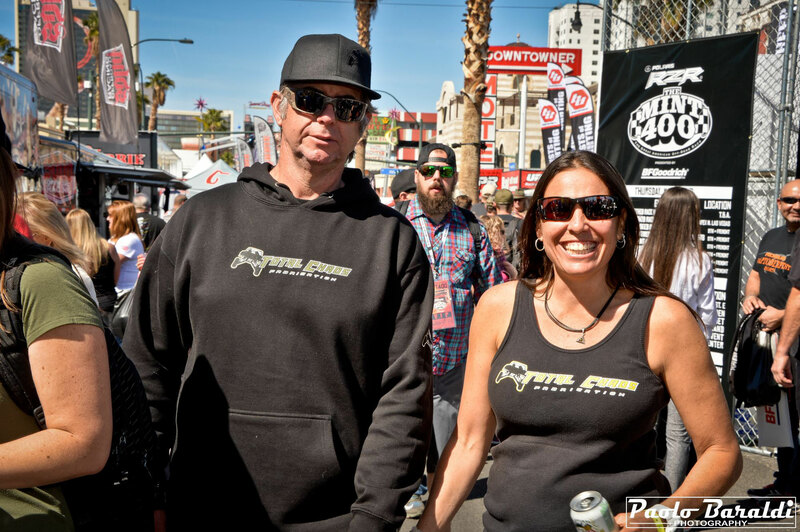 This year, in a few days, she will be present, with Tim Schrader as a co-pilote, on the starting grid of the longest American off-road race, 530 miles, organized by Best in the Desert. These are busy days for the Total Chaos team, but Nicole has also found the time to answer some of our questions. Why you bring your products in the race? As a company, each new component of Total Chaos must pass a 500 mile off-road test before being made available to the customer. These test sessions give us an important feedback on the product and the confidence to know that every mile traveled with our equipment will be pleasant and performing. For this, TC uses these race situations as a test bench of its products. 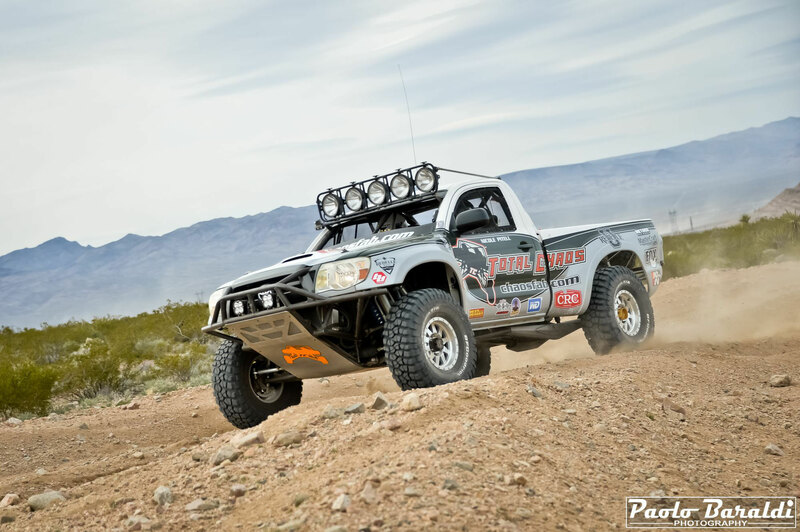 Our racing truck is a 2005 Toyota Tacoma derived from the standard one and equipped with our suspensions; all the products installed on it are part of our production. The TC team lives life differently. We are passionate. We are innovators. We like taking dirt roads that lead to nowhere. Our motto is: "hey let's stop here and see where this dirt road leads". We pursue adventures! 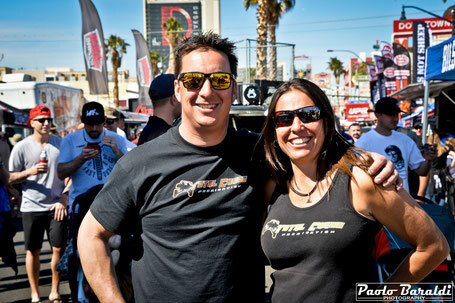 We are fueled by a great passion and decided to launch our brand as a leader in the aftermarket off-road field. In this we are strongly encouraged by our customers and their adventures. 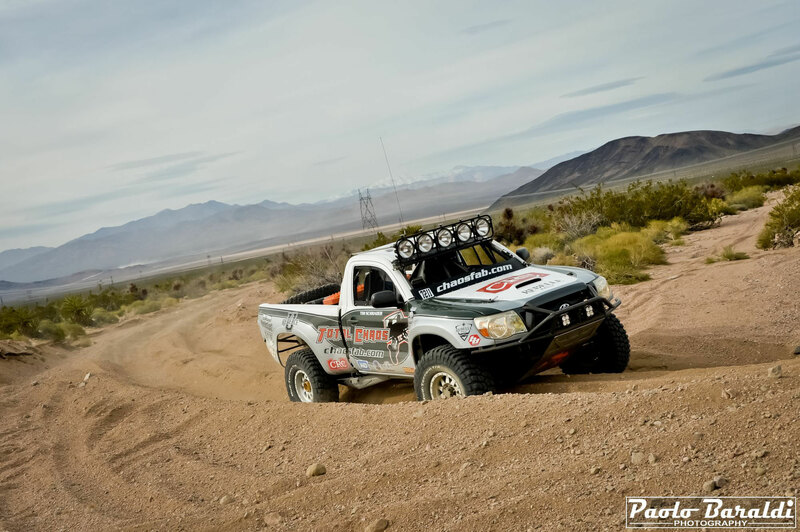 And for them, from Death Valley to Baja Mexico through surfing trips, from travels to fish or to hunts in Canada, from racing in Africa to the Mint 400, passing through the Vegas to Reno, we personally test most of the our accessories. Your husband, Matt Vaughan, is a co-owner of Total Chaos with you ... how is it working so closely with your half? I call myself the "Chaos" and I call Matt "Total." We are a great team and we complement each other, Matt is a talented builder, and he gives me a great balance. He deserves a medal! You are famous for naming your 4x4s. Why? Our vehicles are our children. We spend a lot of time with them: during construction, changes and then playing with them in the dust. Everyone is different from each other and everyone has their own personality. Precisely for these reasons I give him a name. But I also have a nickname for every person in my team ... the nickname represents what we are!